MassiveFantastic.com: Celebrating The World Of FANTASTIC Art! : Great Stuff: Mel Birnkrant's AMAZING FREE "Outer Space Men" Ebook! Great Stuff: Mel Birnkrant's AMAZING FREE "Outer Space Men" Ebook! I LOVE toys and there are no toys I LOVE more than action figures. 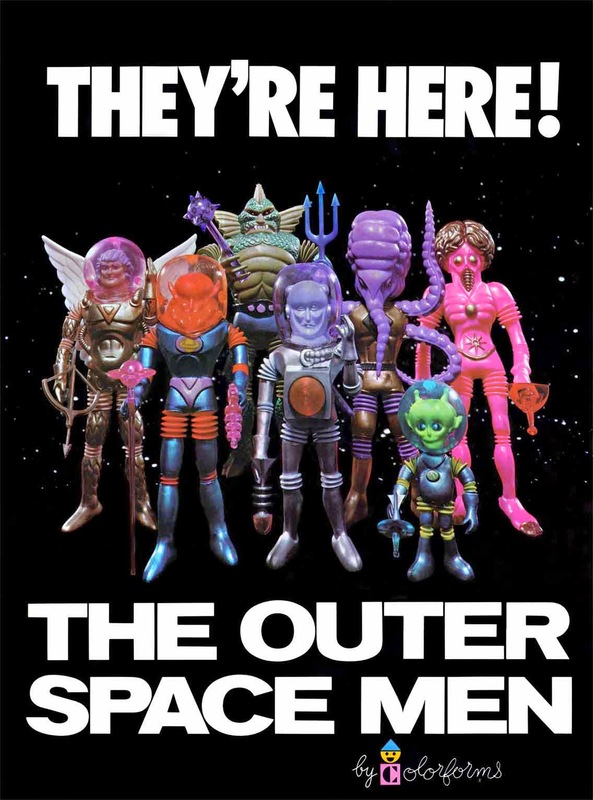 Which is why I'm so HAPPY to announce Mel Birnkrant has recently put out an AMAZING FREE ebook (with a little help from yours truly) on one of his GREATEST toy inventions and one of the very FIRST action figures ever created, "The Outer Space Men". To understand the importance of Mel Birnkrant and the "Outer Space Men" we would have to take a look back at the history of toys and action figures specifically. Action figures were introduced around 1964 with the creation of Hasbro's 12" "GI Joe" doll figure ("GI Joe" was intended to be for boys what Barbie was for girls), technically not what we would consider an "action figure" by today's standards. Two years later in 1966 another type of 12" doll for boys was released called "Captain Action" by Ideal. That year also saw the release of Mattel's "Major Matt Mason". "Major Matt Mason" was the first figure that made the transition from 12" doll for boys to 5" to 6" poseable action figure toy. However, in my opinion Mattel's "Major Matt Mason" was still not the first true action figure. "Major Matt Mason" lacked imagination and fantasy elements that were needed to spark the imagination. 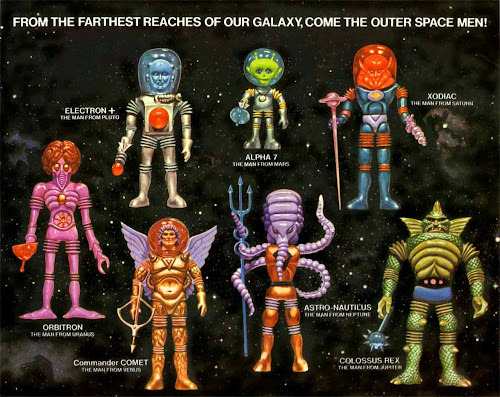 As the story goes the day after Mel Birnkrant saw "Major Matt Mason" for the first time he began work on creating Colorforms "Outer Space Men" which invaded toy stores in 1968. Mel Birnkrant's Colorforms "Outer Space men" were light years ahead their time and set the standard for what an action figure should be and is still used as the standard for action figures to this day! With Colorform's "Outer Space Men" the first COMPLETE action figure was born. 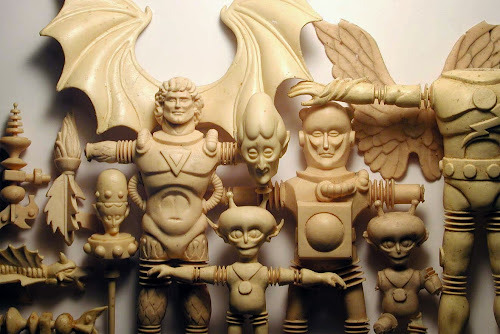 "Outer Space Men" had it all: intensely imaginative poseable characters with a wide range of shapes and sizes (where Mattel's "Major Matt Mason" characters were generally generic bodies with different heads), a wide range of awesome accessories (crossbows, guns, magical staffs, maces and more! ), and the final element was a great back story for each alien character's origin to further help bring these AMAZING action figures to life! 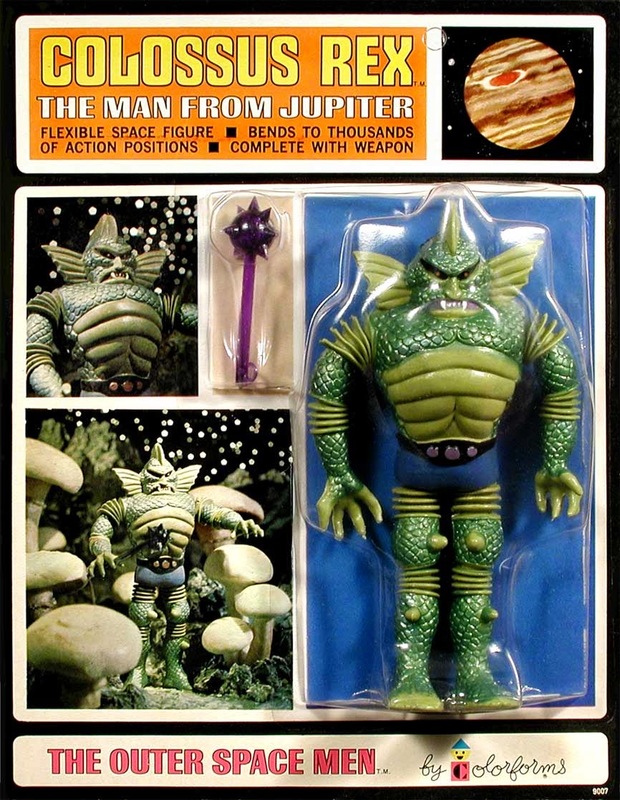 The "Outer Space Men" were also the first cast of original fantasy characters created for an action figure toy. Learn the entire story of the very first AWESOME action figure with Mel Birnkrant's FREE "Outer Space Men Archive" ebook! The ebook is PHENOMENAL! Full of tons of images covering concept art, photos of the original figures in their original packaging, original paintings by the GREAT Bob Engle, and lots of behind the scenes photos of the creation of these AWESOME action figures. The ebook also has a ton of GREAT behind the scenes stories on the "Outer Space Men" as well as two full interviews with Mel Birnkrant! "The Outer Space Men Archive"
Mel Birnkrant and I also hope to put together a second ebook on the new "Outer Space Men" that have been recently released with the Four Hoursemen! So be sure to check back! 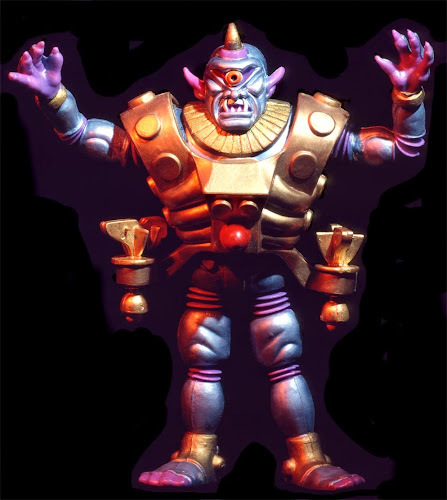 A very valuable resource to this post comes from "Stinny's Toy History - Past, Present and Future" an AWESOME comprehensive view of action figures and toys from the 1960's to the present, be sure to check it out!